Manager Peter Murphy continues to build his squad for the forthcoming season with two more additions joining at Galabank. Brannan served a loan spell last season at Gretna 2008 FC while continuing to play for Queens U20’s. 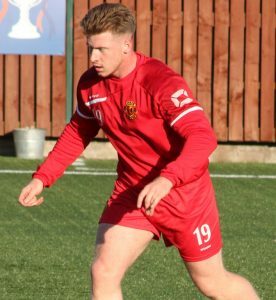 After playing as a trialist in the managers pre season games Jack has impressed and has been signed up ahead of the weekends BetFred Cup tie against Clyde FC. Ryan Sinnamon joins the Black and Golds for the second time after playing as a trialist for all pre season matches. 20 year old Sinnamon spent a brief spell on loan from Rangers under previous manager Jim Chapman. Unfortunately after managing only 9 league appearances Ryan left Galabank but Murphy has seen enough to offer him a second chance. Played as a more attacking winger rather than a full back Ryan scored a fantastic hat-trick in the weekends tournament against Gretna 2008 FC.